Ships tomorrow if you order in the next 16 hours 7 minutes. Auto Ship & Earn + 109 Points What's this? Vitamin E is one of the most important vitamins in your body. As a powerful antioxidant, it can slow down processes like lipid peroxidation - which lead to cell damage. 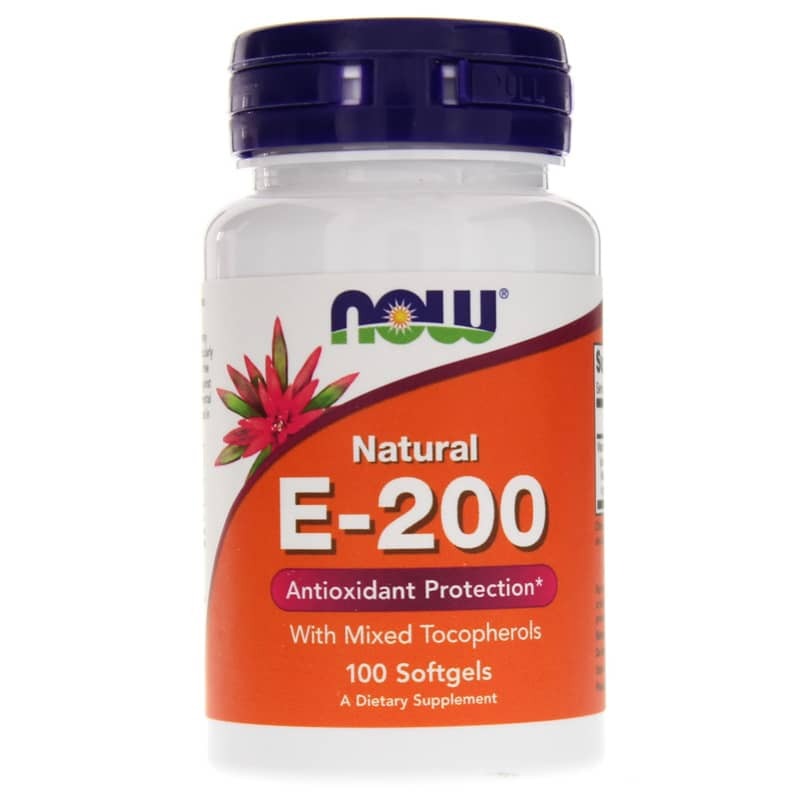 E-200 from NOW Foods is a 100% natural supplement with Vitamin E with mixed tocopherols for antioxidant support. One of Vitamin E's most important job is guarding the body against free radicals or oxidative stress. 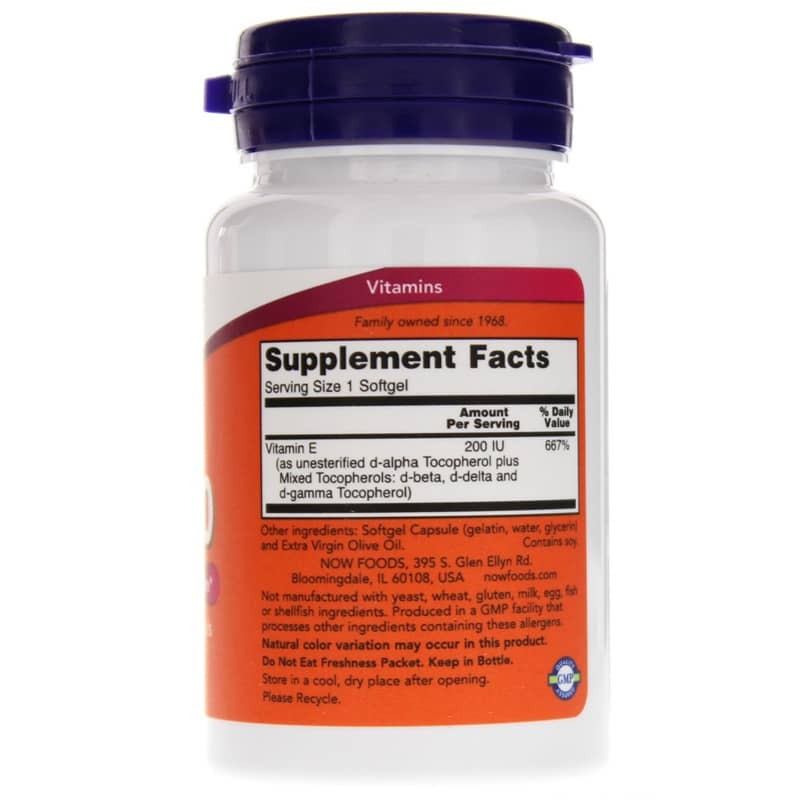 This supplement may provide protective benefits beyond what you can get from the Vitamin E sustained from a typical diet. Other Ingredients: Softgel Capsule (gelatin, glycerin, water) and extra virgin olive oil. Not manufactured with: yeast, wheat, gluten, milk, egg, fish, or shellfish ingredients. Produced in a GMP facility that processes other ingredients containing these allergens. 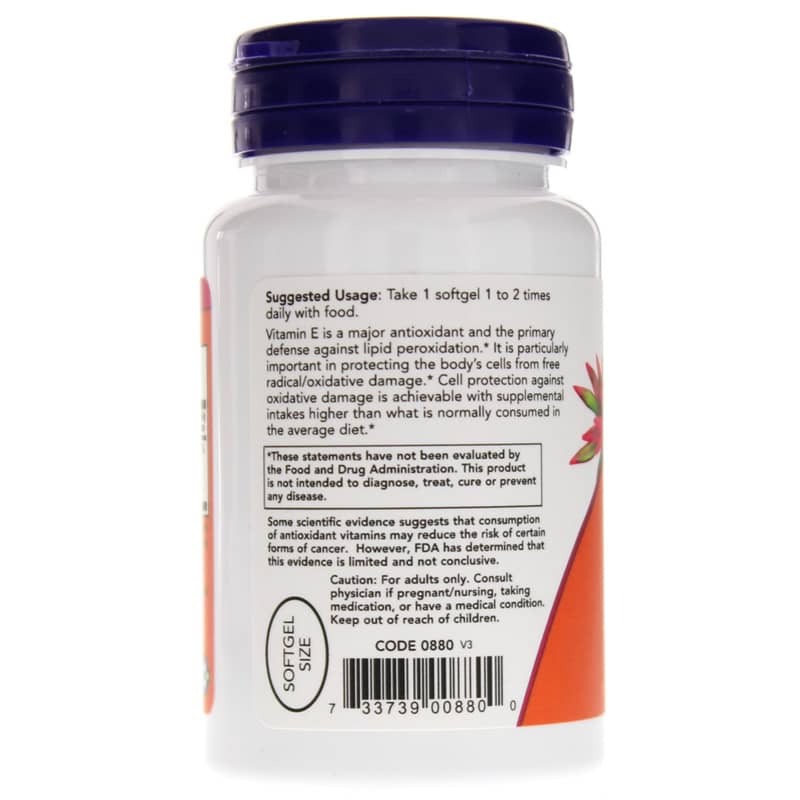 Adults: Take one softgel 1 to 4 times daily with food. Natural Healthy concepts almost always crushes the other vendors on price, and you can't beat the service. Deliveries are quick. That's why I shop there. The dosage was the one I was looking for and the product came quickly after ordering!